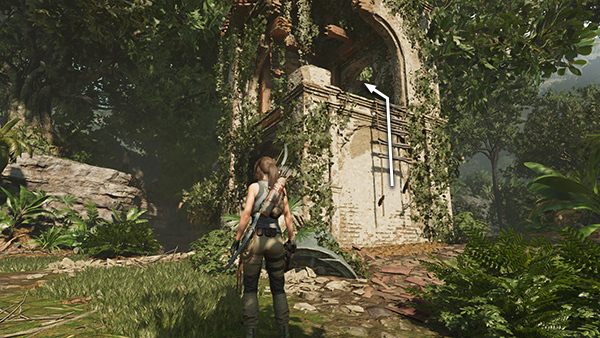 You can drop down into the Empress Leopard's territory on the right side of the ruined bell tower and enter the Challenge Tomb from there (as shown in the previous section), but you will miss some pick-ups. 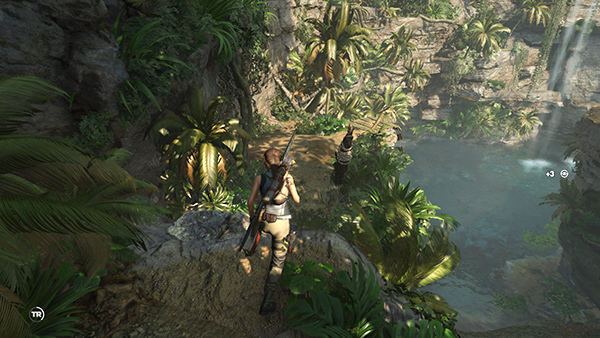 Take the route shown below for 100% completion. Around the left side of the tower is the Ruined Tower Base Camp. 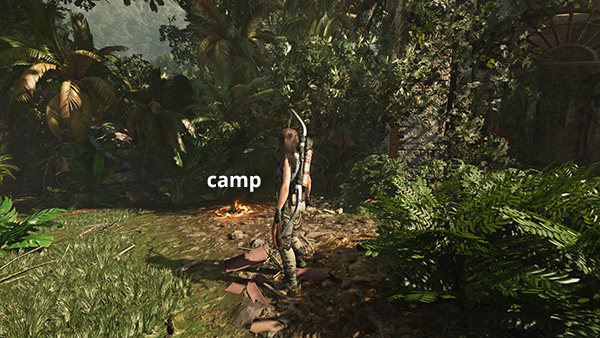 You probably won't need it so soon after the last camp, but "discovering" it will allow you to Fast Travel back here later if necessary. Ignore the path to the northeast. 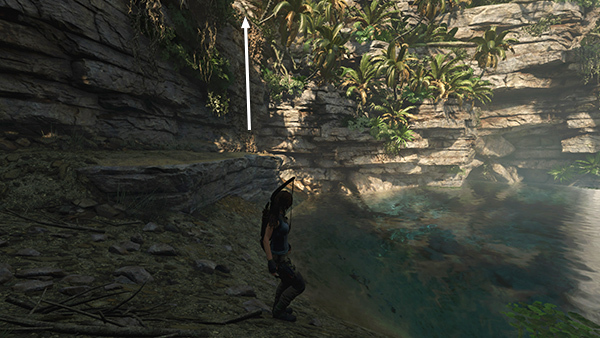 ...and run a rope line over to the ledge to the north. 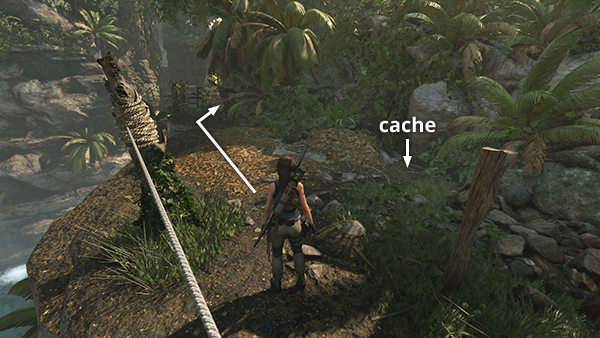 Here you'll find 2 resource containers and a Yucatec monolith (1/1). 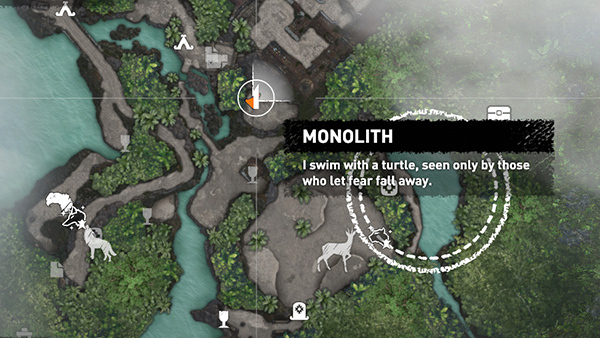 The clue, "I swim with a turtle, seen only by those who let fear fall away," points to the large pool southeast of here. We'll get there a bit later. 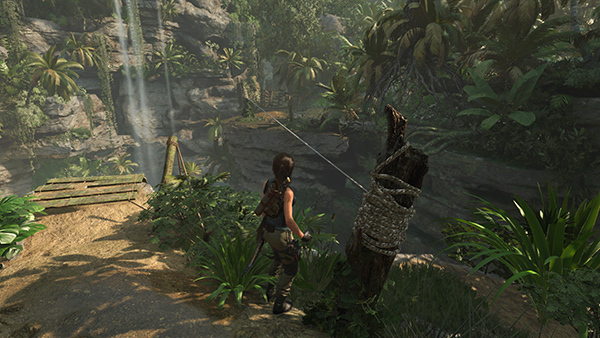 Move to the east end of the ledge, jump over to the climbable wall, and rappel down to the path below. For now, continue to the northeast and drop down onto a slightly lower path overlooking the pool. Just ahead on the left is a flammable barrier. 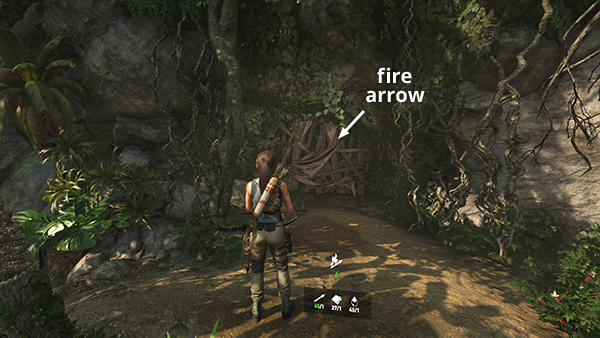 Use a fire arrow to burn it away. 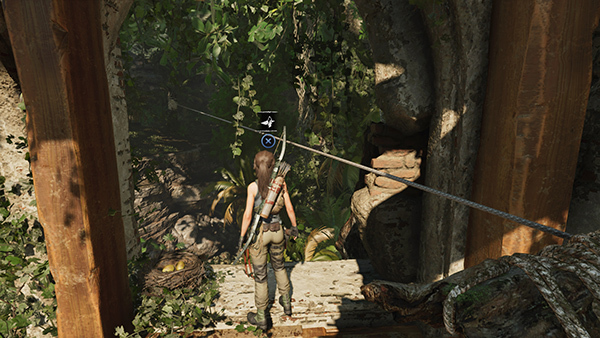 Enter to find another archivist map (3/4), a box of supplies, and some jade ore.
Return to the ledge outside, use a rope arrow to run a line between the rope-wrapped tree stumps, then climb across. 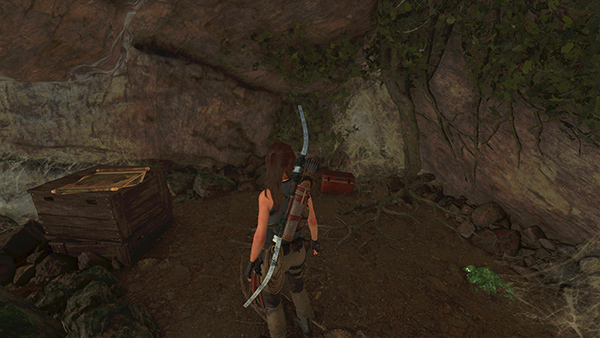 Just ahead on the right is a buried survival cache (2/8). Dig it up. 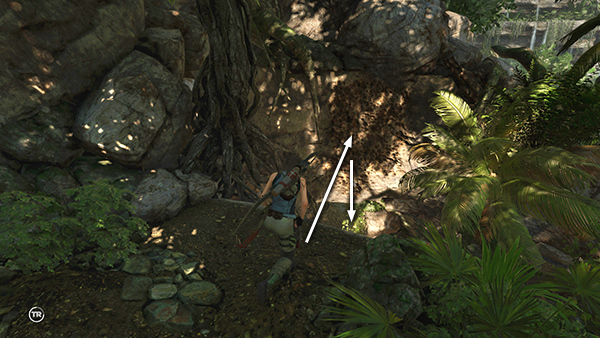 Then follow the path along the ledge to the south. Just beyond the start of the wooden fence, the path comes to a dead end. 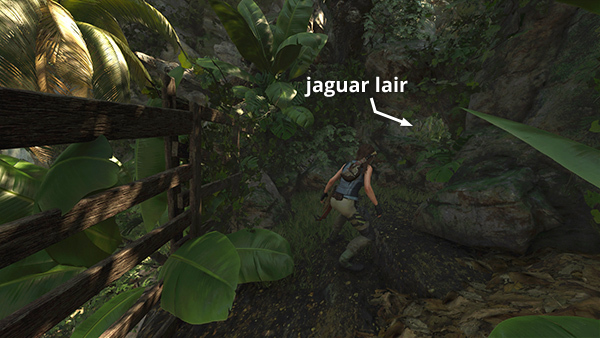 The opening in the rocks on the right is the other entrance to the EMPRESS JAGUAR'S HUNTING GROUND. If you didn't defeat her earlier, you'll need to do it now. 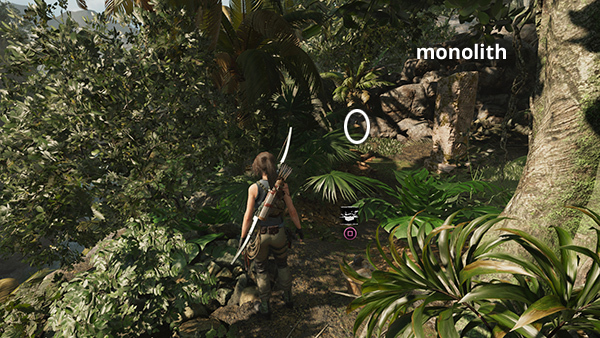 For tips, see this page with screenshots. 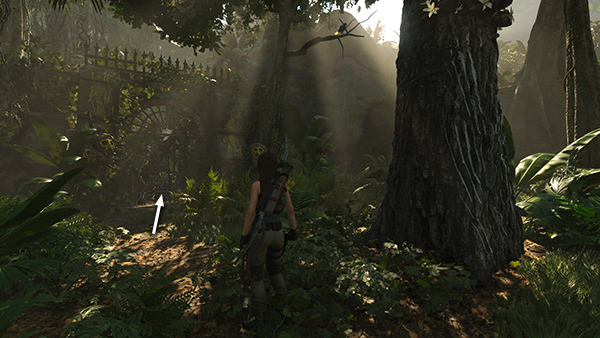 With the empress out of the way, you can proceed to the CHALLENGE TOMB ENTRANCE, the rusty iron gate surrounded by gilded totems on the south side of the hunting ground.